Ansell’s Perry Cut-Resistant Glove Liners are made with Spectra® polyethylene fiber and provide superior cut resistance and protection during rigorous procedures. The liners are classified as personal protection equipment – not as medical devices. 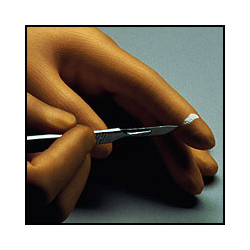 The Cut-Resistant Glove Liners are sterile, and it is recommended that they be worn between two powder-free surgical gloves when used during surgical procedures.